On August 30, 2016, the California Office of Health Hazard Assessment formally adopted new Proposition 65 warning regulations that will dramatically revise the Proposition 65 warning landscape – and, at least in the shorter term, likely increase the number of enforcement actions targeting purportedly noncompliant warnings. The new regulations become effective on August 30, 2018, two years after adoption. During this two-year interim transition period, companies may use either the new warnings or the current ones (i.e., the warnings whose requirements are set forth in the 2008 safe harbor warning regulations, hereinafter the “2008 Version”). The new regulations are codified at Title 27 of the California Code of Regulations, beginning at Section 25600. As explained further below, businesses should be cautious about springing into action to implement the new warnings, because some of the new requirements require coordination along the supply chain. Companies should use this two-year transition period to carefully review the new requirements, develop appropriate compliance strategies, and clearly communicate expectations to supply chain partners. As in the 2008 Version, the new regulations establish “safe harbor” warning content and methods of transmission that are deemed clear and reasonable under the statute. Also as in the 2008 Version, the new safe harbor warning regulations divide the universe of exposures into three categories: consumer product, environmental and occupational. Specific safe harbor warning content and methods of transmission apply to each category. This post focuses on consumer product warnings. In addition, beginning at Section 25607, the regulations establish warning content and methods of transmission for certain specific exposures, such as those occurring due to listed chemicals in foods, or in furniture, or in amusement parks. Businesses providing warnings for such products or areas must comply with those specific requirements; compliance with the new regulations’ “generic” safe harbor warnings will not provide a safe harbor shield. Companies also should be aware that some of these exposure-specific requirements require coordination with other entities in the supply chain. For example, safe harbor furniture warnings not only require on-product warnings but also retailer notifications to consumers (either by signs or on receipts). Businesses should carefully review the regulations to determine whether their products are subject to any of these exposure-specific requirements described in Sections 25607 et seq. and to understand what those requirements entail. The new safe harbor regulations establish the following methods of transmitting the warnings: product label (i.e., a warning on the product or its immediate package or wrapper); or posted sign, shelf tag or shelf sign at the point of display of the product. These are similar to requirements in the 2008 Version. According to OEHHA’s Final Statement of Reasons (“FSOR”), the regulatory document that further explains the agency’s purpose and rationale, owners’ manuals and package inserts would not be considered safe harbor methods of providing warnings under the new regulations. For internet purchases, a warning transmitted either by providing the warning on the display page, or by a hyperlink marked “WARNING” or by otherwise prominently displaying the warning prior to completion of the purchase. Significantly, a product sold online must be accompanied by an online warning even if it also bears an on-product warning. Although administratively burdensome and perhaps also costly, suppliers at least will be able to initiate and control the addition of such warnings on their own websites. However, this online warning requirement applies to downstream customer websites as well. Thus, suppliers and online retailers must coordinate the transmission of warnings on websites – and should begin having conversations right now to clarify their respective obligations. In the best circumstance, those expectations would be memorialized in supply contracts. The new regulations establish the warning content for safe harbor warnings, setting forth requirements for a standard Proposition 65 warning and for a shorter, abbreviated version of the warning that may be used on products, their immediate containers or their wrappers. Before turning to the specific warning language, some of key new safe harbor warning elements are summarized below. The word “WARNING.” The word “WARNING” must in in bold capital letters. Reference to new OEHHA website. Safe harbor warnings also are required to refer to OEHHA’s new Proposition 65 website at www.P65warnings.ca.gov. Translation into other languages. 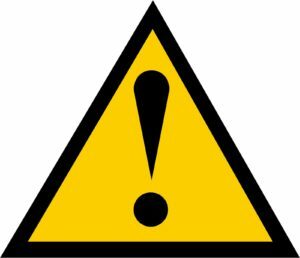 Where the sign, label or shelf tag used to provide a warning contains “consumer information” in another language, the warning must be provided in that language as well as in English. “Consumer information” includes other warnings, directions for use and ingredient information, but does not include brand name, product name, company name, location of manufacture or product advertising. Supplemental information. So-called “supplemental information” in the warning text is restricted to identification of the source of exposure or information on how to avoid or reduce exposure to the listed chemical(s). Identification of chemical. The warning must identify at least one chemical. If the warning is being used to warn for chemicals for each of the two Proposition 65 health endpoints (cancer and reproductive toxicity), then the warning must identify a listed chemical for each health endpoint unless the chemical being warned for already is listed under both health endpoints, like lead, which is listed as a carcinogen and as a reproductive toxicant. [symbol] WARNING: This product can expose you to chemicals including ethylbenzene, which are known to the State of California to cause cancer. For more information go to www.P65warnings.ca.gov. [symbol] WARNING: This product can expose you to chemicals including diisononyl phthalate, which are known to the State of California to cause cancer. For more information go to www.P65warnings.ca.gov. For on-product warnings (i.e., appearing on the product or its immediate container or wrapper), a business has the option of providing a shorter, abbreviated warning rather than the longer warning set forth above. The shorter warning must include the symbol and the bold, capitalized word “WARNING,” but does not have to identify the listed chemical. And, although the longer warnings have no specific font size requirements, these shorter warnings cannot be smaller than the largest type size used for other “consumer information”— and in no case can be smaller than 6 point font. [symbol] WARNING: Cancer – www.P65Warnings.ca.gov. [symbol] WARNING: Reproductive Harm – www.P65Warnings.ca.gov. [symbol] WARNING: Cancer and Reproductive Harm – www.P65Warnings.ca.gov. For years, Proposition 65 enforcement has focused on “no warning” claims, i.e., claims asserting that a company failed to provide an allegedly required warning. With these new regulations in place, the regulated community can expect to see a steep increase in “bad warning” claims, with enforcers scrutinizing every aspect of the new warnings being implemented to find and exploit missteps. In that regard, one of the biggest potential pitfalls for businesses will be the coordination required between suppliers and online retailers to ensure that warnings are provided for online product sales even for products bearing label warnings. Although the new regulations do not become effective until August 30, 2018, the time is now for companies to start reviewing the new requirements and developing a game plan for compliance.